From May 2014, 20:14 exhibition was exhibited in gallery spaces across the south-west; including Exeter and Tavistock, presenting prints created by staff and student members of the PUPS Society. A free choice of printmaking imagery and printmaking processes was allowed, resulting in a diverse collection of prints created for the viewers of this exhibition. An Etched print inspired by a photograph taken by my sister Imogen Marsh, created into my own simplified print version. Using the etching process to spend time creating delicate detail and textures into the copper plate, to illustrate the background, the flowers and the bubble bee. 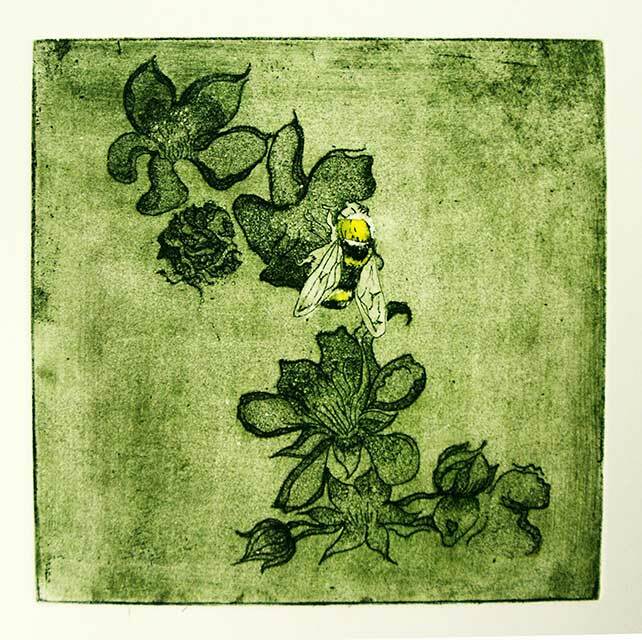 Used Chine colle (yellow tissue paper) to create the body features of the bubble bee and used green and black intaglio inks to create the natural look of the image. I used a section from my lino sheet created for my past project ‘Surface’ to produce this print. It is a 20cm by 20cm image repeated for an edition of 14 signed prints. 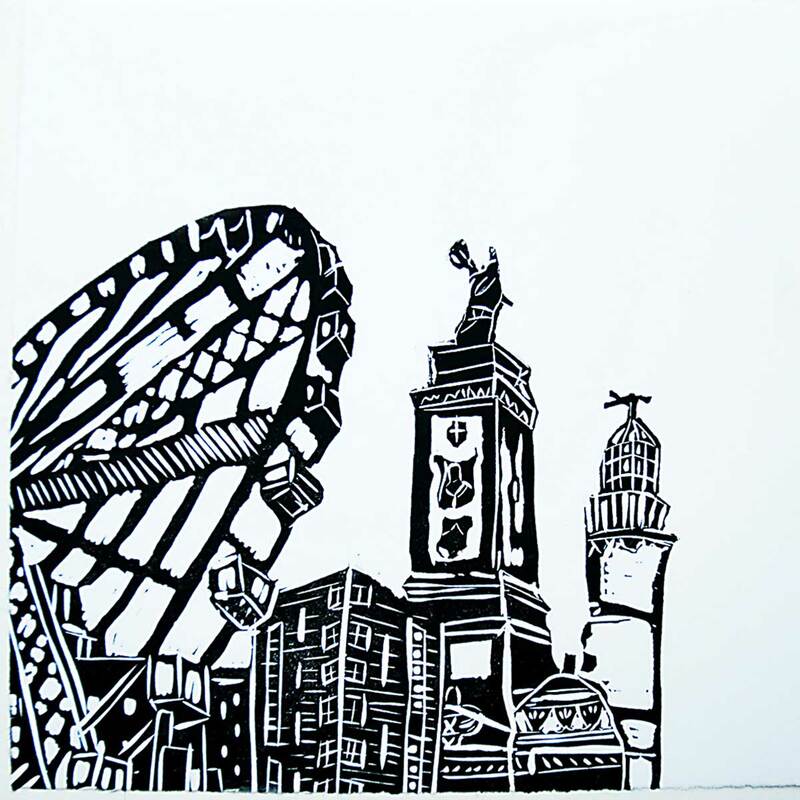 Plymouth cityscape image, printed in black coloured relief ink.